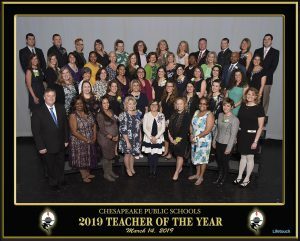 There are a lot of great things about being a part of the Chesapeake Public Schools family, but one of the best is working with and recognizing outstanding educators. 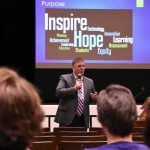 It was my privilege and honor to provide keynote remarks last week at my first Citywide Teacher of the Year Ceremony as superintendent. I’d also like to thank Mayor Rick West and School Board Chair Victoria Proffitt for joining me in addressing these incredible educators. 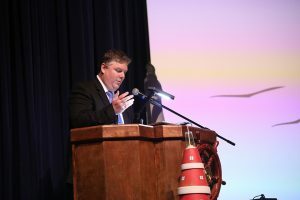 The theme for the event, “Lighting the Path to Success” was a fitting tribute to the 47 individual school honorees in attendance because each day, in each classroom, these teachers not only accept, but embrace, the enormous responsibility of lighting pathways to success for each of their students. 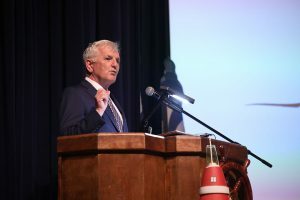 It was evident, by the packed Indian River High auditorium, that all of these teachers have succeeded in not only impacting the lives of their students but also the lives of their colleagues and families. Out of those 47, several at each level were selected as finalists for overall Citywide Teacher of the Year. Those finalists submitted a portfolio, participated in a panel interview, and were observed in the classroom by our selection panel. These teachers impressed at every stage of the process, and I’m just glad I didn’t have to help make that difficult choice. I’d like to congratulate our Citywide Teachers of the Year again for such an incredible accomplishment. 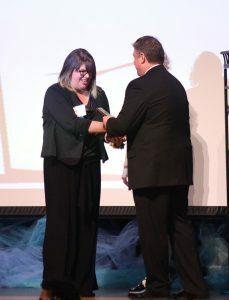 Elizabeth Hankin from Southwestern Elementary is our 2019 Elementary Teacher of the Year. 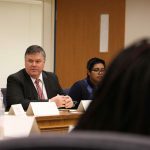 She is a fifth-grade teacher, who serves in a number of roles in her building including as a United Way coordinator and as a member of the Elementary Math Focus Group. While she might not win a Grammy for her songwriting skills, she absolutely deserves this recognition because using song is one of her favorite ways to help her students retain key concepts, and my guess is those students will be singing her songs and praises for years to come. 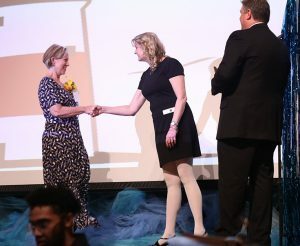 Meredith Foy, a seventh-grade special education teacher from Indian River Middle School, was named our 2019 Middle School Teacher of the Year! 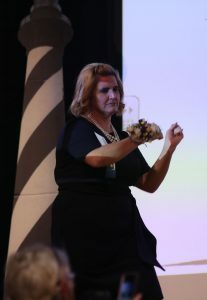 Her desire to work with special education students stemmed from a personal connection after she watched her brother’s educational battles. 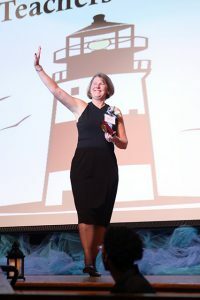 Now after a twenty-five year teaching career, she is an educational champion for all of her students, and her goal is to help them see the value in education and the unlimited opportunities it provides. 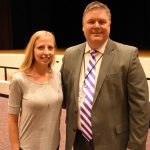 Our 2019 High School Teacher of the Year is Amanda Steadele from Western Branch High School. She danced her way across the stage to greet me on a dare and that is representative of her teaching personality in the classroom too. As an English teacher, who also teaches Creative Writing and Journalism, she often dares her students to step out of their comfort zone to achieve results. 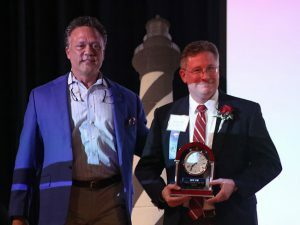 Finally, our overall Citywide Teacher of the Year is David Thaw, a business teacher from Grassfield High School. 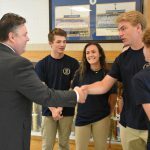 He has been recognized the past five years as a W!SE Gold Star Teacher for personal finance and accepted the W!SE Top 10 Large High Schools Award in 2018 on behalf of his department. 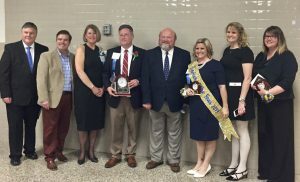 He also promotes education through leadership and service as a sponsor of the Lead2Feed Program in which his students have received national recognition for their efforts to end hunger. I’d like to thank Lifetouch for capturing this keepsake photo of all our TOYs, and I’d also like to thank our other sponsors of the event. 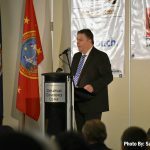 Bill Schneider of Priority Automotive, Jeramy Stein of Sentry Security Systems, and Michael Landry of the Greenbrier North YMCA provided generous support of our honorees. All of our 47 Teachers of the Year represent some of the best our division has to offer, and I’m so thankful for their service to our students and community each and every day. 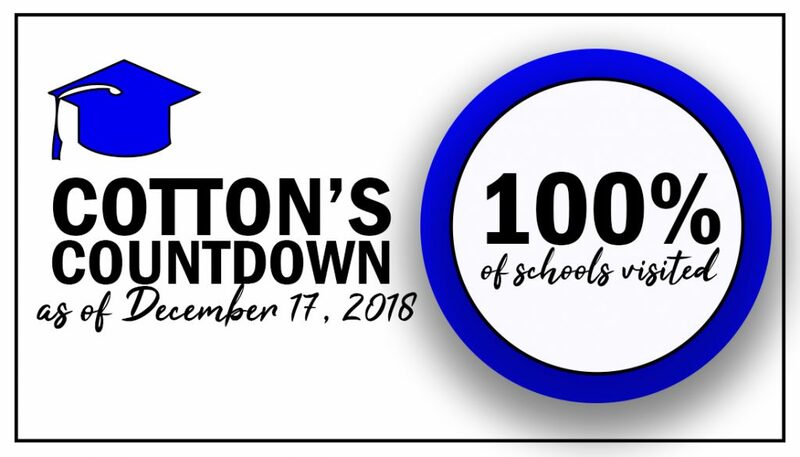 We are fortunate to have such talented professionals who serve our students in ALL of our schools each day.